After retiring in January, I began looking at my bucket list of travel ideas and plans. Immediately after retiring, I participated in a wonderful ten-day trip to Cuba as a volunteer (see article in May/June 2017 issue). I have trips to Greece and Poland on my list for later this year and next year. Although it’s my passion, like most of us, I can’t travel all of the time! Back home, I set out to find a meaningful way to contribute to my community. Could I find something here in St. Petersburg that might be tied to my interest in other cultures/countries while helping in some way? 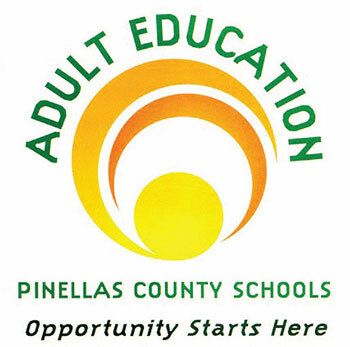 After some research, I came across Tomlinson Adult Learning Center, a part of Pinellas County Schools. I inquired about volunteer opportunities. 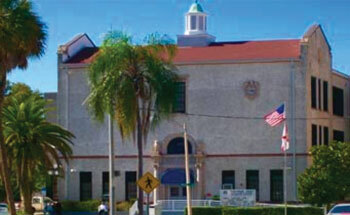 Tomlinson Adult Learning Center is located in downtown St. Petersburg, a short walk from my home, in a picturesque setting overlooking Mirror Lake. Tomlinson offers a variety of informative and inspiring classes to the global community: Adult Basic Education (ABE), General Educational Development (GED), English for Speakers of Other Languages (ESOL), and others. I emailed the person who administers the English for Speakers of Other Languages program and was invited to visit a class to see what it was all about and meet the students. At the time, there were more than 200 learners enrolled in this program. The ESOL students attend classes from 8am to 2pm. All of the classes are focused on learning English and include speaking, writing, reading, and comprehension. The most impressive part of the program was the enthusiasm and focus of the students. They were from every corner of the world and most had arrived in the US within the last few months. All arrived via different circumstances, but all seemed thrilled to be here and have an opportunity to participate in the Tomlinson program to help them assimilate to their new home. I was assigned to work with teacher, Michael Glenn, a young high-energy educator who has a great understanding and empathy for our new residents. His attitude was welcoming and appreciative that I was willing to spend a few days a week helping out in any way he needed. Since many of the students did not know or understand any English, they especially appreciated his patience, good nature, and the creative ways he communicated with them. I started spending time in his class with beginner students who were from the Congo, Russia, Ukraine, Colombia, Cuba, Morocco, Egypt, and a dozen other countries. After a few weeks of observing, we decided that I would work with an older student who has been in the US for many years but continues to struggle with written English and needed some extra help. She was a joy to work with and thrilled at the opportunity to have a one-on-one tutor to supplement classroom learning. From January through May, I worked with her every week. We exchanged family stories, discussed cultural differences, practiced reading, did homework assignments together and, during the last two months worked exclusively on prepping for her test to become a naturalized US citizen. Her determination and tenacity proved to be great assets as she improved dramatically over the months we worked together. Every week when we finished our time together she thanked me for spending time with her. In addition to our one-on-one work, she attended the regular Tomlinson classes for the full day, five days a week. She also attended another English program two evenings a week at a church in Seminole. I’m taking off the summer to visit family and do some traveling, but I’ll return to Tomlinson in the fall as a volunteer. It has been rewarding and a great learning experience. 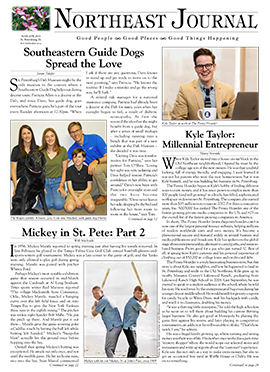 Programs like this make me proud to be part of the St. Pete community.